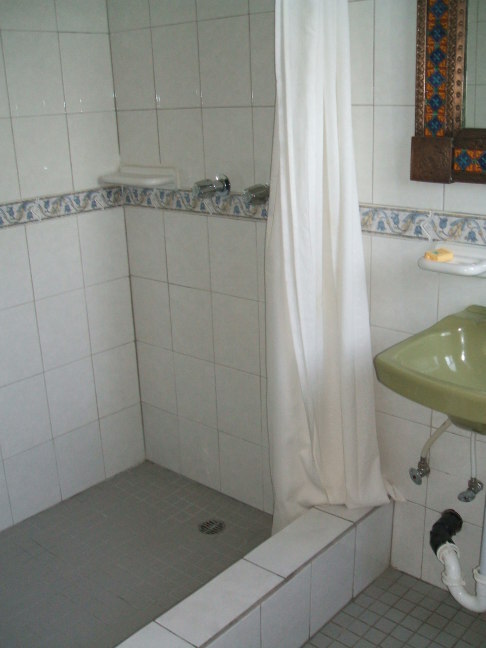 Here is the toilet, sink, and tub in a room at Hotel Isabela, a nice place to stay in central Mexico City just a few blocks from the Zocalo. Yes, this picture makes it look like an abbatoir. We hadn't just slaughtered a bull in here, honest. My US$ 10 camera was leaking a bit of light. 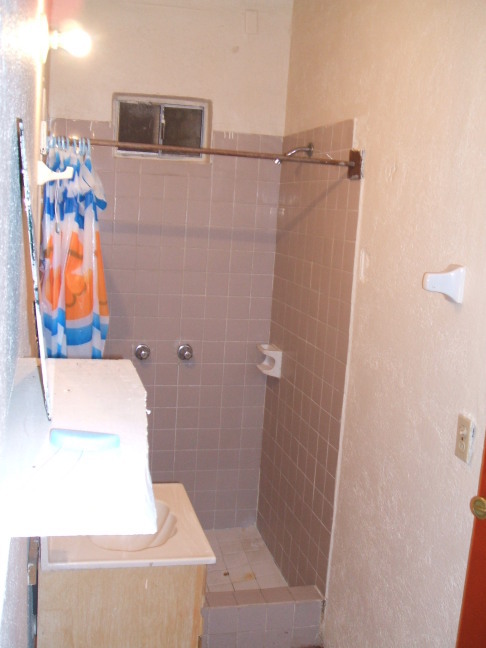 This is the toilet, shower, and sink in a room at Motel Paraíso, a nice place to stay in Tecate. And talk about clean! The bathroom was a bit stark, but it was very clean. Even the air — a very pungent waxy block of air freshener hung from a hook above the bathroom vanity. It fumigated the bathroom, and also the bedroom if you forgot to keep the bathroom door closed. 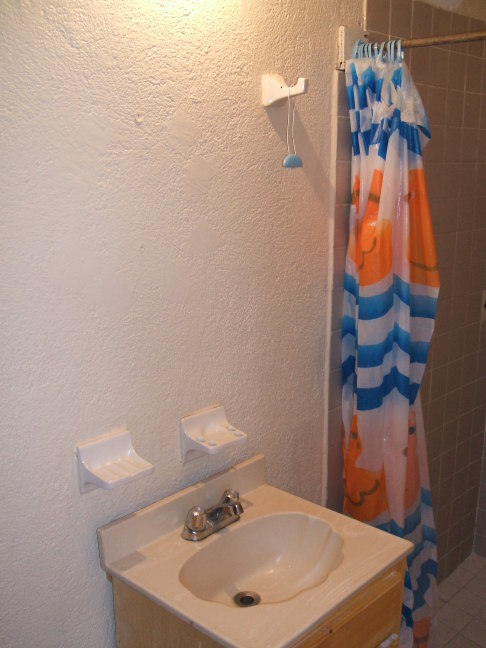 Here you see the shower and sink in a room at Hotel Plaza Fiesta in Ensenada. 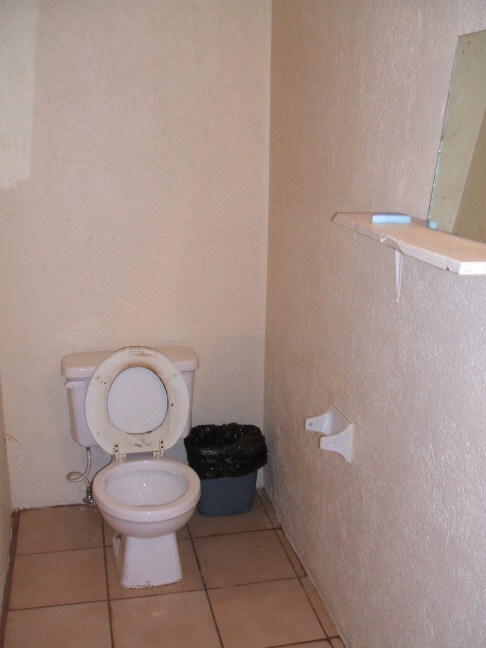 You might think that this toilet looks a little old fashioned. 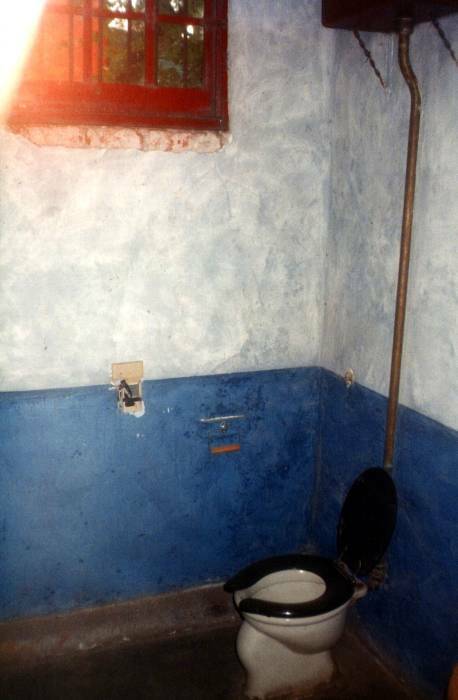 It is, because it's Leon Trotsky's toilet in the house where he lived in Mexico City in the 1930s. 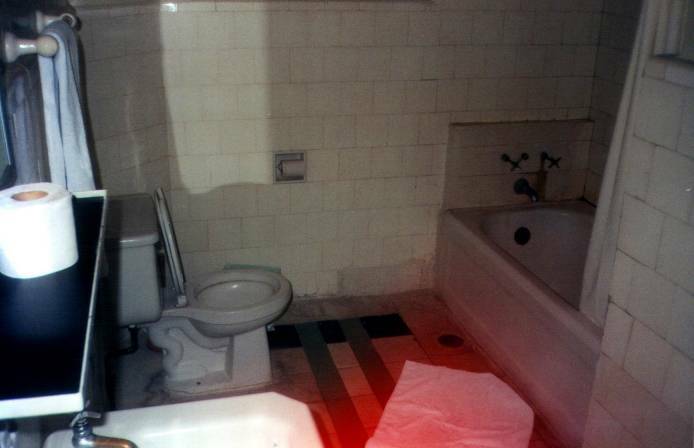 I have an entire page featuring Trotsky's toilet, tub, and hot-water heater.